Located in the hip Uptown neighborhood of Minneapolis, Truce is the first Minnesota company to offer 100% organic fresh-pressed juice. 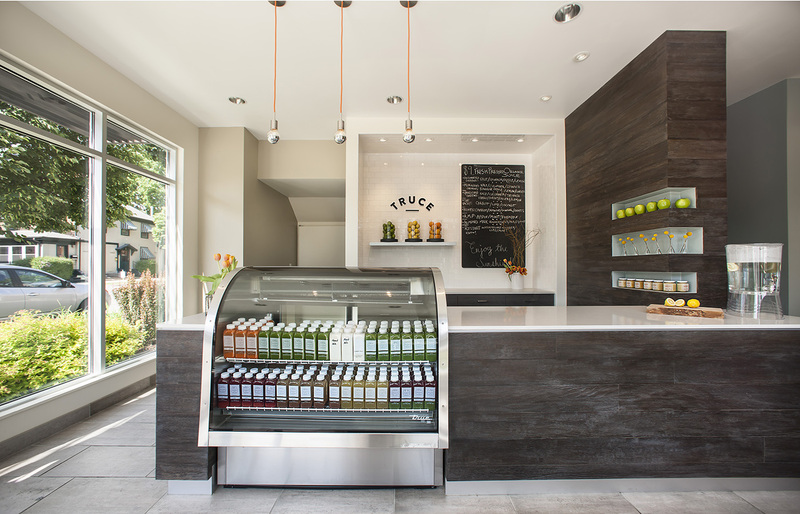 This 1,500 SF retail prototype is fresh, clean, and simple – a backdrop for Truce’s growing line of juice and other natural products. It is designed with inherent flexibility, able to evolve as their product offering expands.